Greece has so met the deadline and transferred €448 million to the International Monetary Fund calming fears Athens could soon leave the euro. "The tranche of €448 million has been delivered to the IMF," said the Greek news agency ANA referring to senior sources in the Greek Finance Ministry. The money was transferred despite rumors the country would not manage to do it on time, which could push the country out of the eurozone. "The purpose of our government is that Greece remained in the eurozone, we are looking for a common European solution to this [debt restructuring – Ed.] 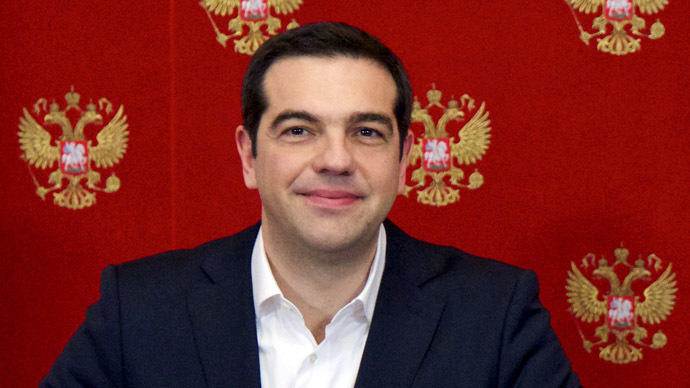 problem," Tsipras said, speaking to students at the Moscow State Institute for International Affairs. Having paid off €448 million in debt to the IMF, Greece has another €768 million falling due in May. Should Greece manages to fulfill these obligations, and the EU approves the reforms proposed by Finance Minister Yanis Varoufakis, the Troika of international creditors represented by the IMF, the European Central Bank, and the European Commission, is expected to allocate the next €7.2 billion in aid to Athens and negotiate the restructuring of its external debt by June.